A new quick service restaurant is now open at Disney's Animal Kingdom - read on for our in-depth review of the Harambe Market. 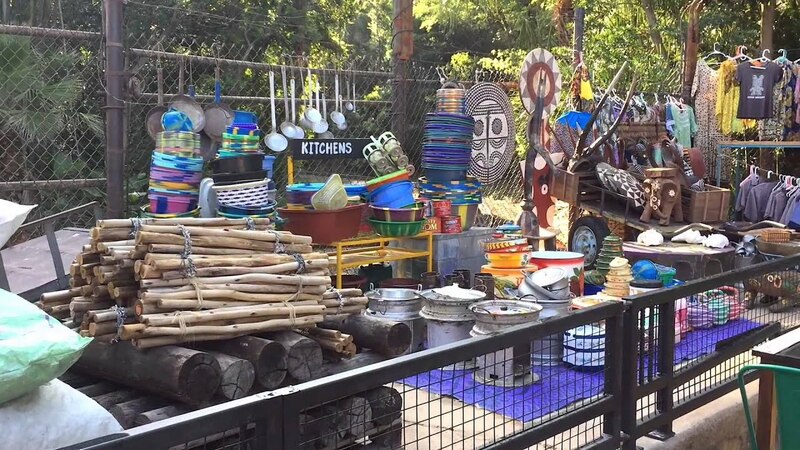 An incredibly rich and detailed new addition to Harambe is now open at Disney's Animal Kingdom. Aside from the Safari it really doesnt have a whole lot of attractions to offer. TBH, I found Animal Kingdom had a real lack of attractions, and for some reason that day I was in more of a busy mode than on prior visits to the MK where I was more relaxed, so I was out of AK by about 4 PM that day after being there for rope drop. I did safari, Khali River Rapids (Twice, oh man what a let down), EE, Nemo the Musical, both Dinoland USA rides, Dinosaur, Festival of LIon King, It's Tough to be a Bug and ate at Pizzafari. I also did one of the two Exploration trails, the one in Asia, Panjani i think. Anyways Africa had some cool shops and restaraunt as well as some neat street performers (Which I didnt get to see much of). The bongo drums were an okay touch too. The village of Harambe is the land of Africa at Disney's Animal Kingdom. It sets the scene for guest's to travel into East Africa to begin their African adventure. Harambe contains shops, restaurants and the signature attraction of Kilimanjaro Safaris.